In line with the recent beetle boom on ScienceOpen, a researcher led collection on Coleoptera has been created on ScienceOpen. 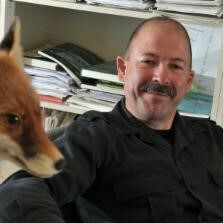 In the following interview founder and editor of the collection, Rolf Georg Beutel (Professor of Zoology at the Institut für Spezielle Zoologie und Evolutionsbiologie, Jena) will share a little background and gives us an insight on how it works in practice, how such thematic collections serve research communities. And of course, he will also reveal why beetles are cool. Hi Rolf, thank you for joining. Can you first tell us a bit about your research background, and how you originally got interested in Entomology? Why did you choose to study Coleoptera? I must admit that in contrast to many other entomologists I was not interested in insects at all as a child or later as a student of Zoology at the University of Tübingen. I was clearly inspired by an eccentric but outstanding academic teacher, Dr. G. Mickoleit, who suggested I should investigate the head and mouthparts of a very small and very cryptic beetle larva. Even though I had a hard time with my first objects of study, I obviously got hooked and continued studying beetles and other insects for the rest of my scientific career. Why did you decide to build a ScienceOpen Collection on Coleoptera? 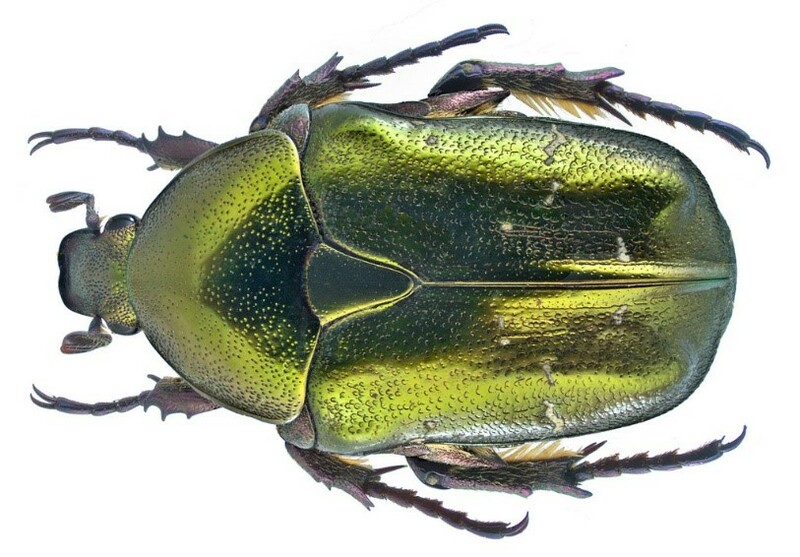 Dr. Stephanie Dawson, whom I have known for more than 10 years, mainly in the context of the Handbook of Zoology series, suggested to me to establish this ScienceOpen collection on beetles. My positive previous experience with her expertise and also with ScienceOpen was confirmed by the impressively efficient process of building and presenting this collection. Coleoptera is one of the first automatically synchronized collections on ScienceOpen. What were the main principles of building the collection and how it develops? Coleoptera is an immensely diverse and popular group. The intention was to go beyond the traditional fields of taxonomy and morphology, even though these have certainly their merits and are still very important in different contexts. The established data base will continuously grow and extend, integrating an ever increasing number of open access studies. Do you have favourite pieces or lines of research in the collection that you find especially relevant to this field? Primarily I consider myself as a systematist, and therefore I am interested in articles on phylogeny and classification in the first place. Even though many publications in these fields are older and not available as electronic files (or not covered by open access), the new collection already provides an impressive number of relevant studies and will grow with an accelerated rate in the future. As an evolutionary biologist dealing with beetles among other groups of insects, I appreciate that the data base covers multiple lines of research, as for instance genetics or physiology. This has the potential for reciprocal stimulation of researchers of Coleoptera, beyond the basic disciplines like systematics and taxonomy. These are indispensable tools in biodiversity research and provide an essential reference system for studies in other fields. Connected with topics like for instance the physiological and genetic backgrounds of feeding habits or reproductive biology, evolutionary biology of Coleoptera is getting really exciting. The very rapidly growing molecular data in the “age on phylogenomics” open fascinating perspectives in the investigation of beetles and other organisms. In which ways your research community benefits from the collection? The easy accessibility of open access articles on beetles is an obvious advantage of this collection. Finally, tell us about what is the coolest thing in studying entomology? Beetles are often very beautiful insects and have attracted attention very early, for instance as religious symbol (Scarabaeus sacer) or material for jewellery, or also simply as food source. Among amateur collectors, who made valuable contributions over the last centuries, only butterflies enjoy a comparable popularity. Talking about what is cool about Coleoptera, it is hard to avoid a statement made by the geneticist and evolutionary biologist J.B.S. Haldane, who allegedly said that God had an “inordinate fondness of beetles”. This mainly refers to the incredible diversity of the group, which presently comprises approximately 380.000 described species, about one-third of all known organisms. The question why Coleoptera was much more successful (in terms of species numbers) than other groups is an intriguing question in itself for evolutionary biologists. Aside from this, beetles are an integrative part of nearly all terrestrial and limnic habitats. Many species are important plant pests but others beneficial as natural enemies of harmful species. What fascinates me most is that after centuries of research crucial phylogenetic issues are still unsolved, like for instance the interrelationships of the 4 extant suborders (“it is the glory of God to conceal things….”). Presently exponentially growing molecular data sets and improved analytical approaches (www.1KITE.org) provide new powerful tools to resolve these issues. This is definitely “cool” and exciting! Thank you, Rolf, it’s been great getting your insight! Got inspired? You can create your own thematic collection by following these steps.